Backdropped by the snowcapped peaks of the Alps, Piedmont is a superb destination for food and wine connoisseurs, as well as all Italophiles. Bordered by France and Switzerland, the rolling hills of this fertile region are planted with vineyards that produce some of the world’s great wines, notably Barolo and Barbaresco. And the elegant city of Turin charms with its spectacular baroque architecture, fine museums and outstanding cafés and restaurants. Piedmont abounds with delicacies, including exceptional beef; excellent cheeses such as Castelmagno; Gianduiotto chocolates; and Arborio rice, which is grown on the wet plains around the towns of Vercelli and Novara. Its most famous culinary product, however, remains hidden until a brief season from late September to the end of November. This is when farmers using specially trained dogs take to the hills and forests of the Langhe and Monferrato districts in search of the pungent and astronomically expensive white truffles prized all over the world. Delicious mushrooms, including porcini, are in season at the same time. Since I’m an avid truffle hound myself and love the great wines of the Piedmont, I decided to spend 10 days in the region last fall. Since then, a day has rarely passed when I haven’t recalled the sublime meals and tastings we enjoyed during our relaxing tour. Piedmont should be on everyone’s bucket list. Be forewarned, however: It is a very popular destination during truffle season, and reservations must be made well in advance. From Turin, we drove south for 90 minutes to Alba on roads through cornfields, hazelnut plantations and vineyards. This charming city of 32,000 inhabitants is renowned for its Truffle Market on weekends. 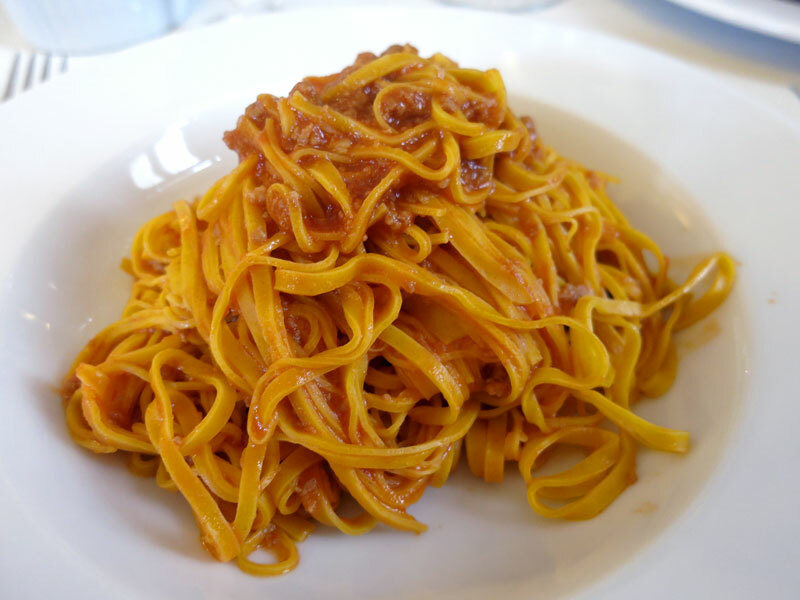 Arriving at noon, we found the air redolent with enticing cooking smells, and we entered chef Enrico Crippa’s three-star restaurant Piazza Duomo, which overlooks the main square from its first-floor dining room, with a keen appetite. Crippa trained with many of the great chefs of Europe, including Spain’s Ferran Adrià, France’s Michel Bras and Italy’s Gualtiero Marchesi. 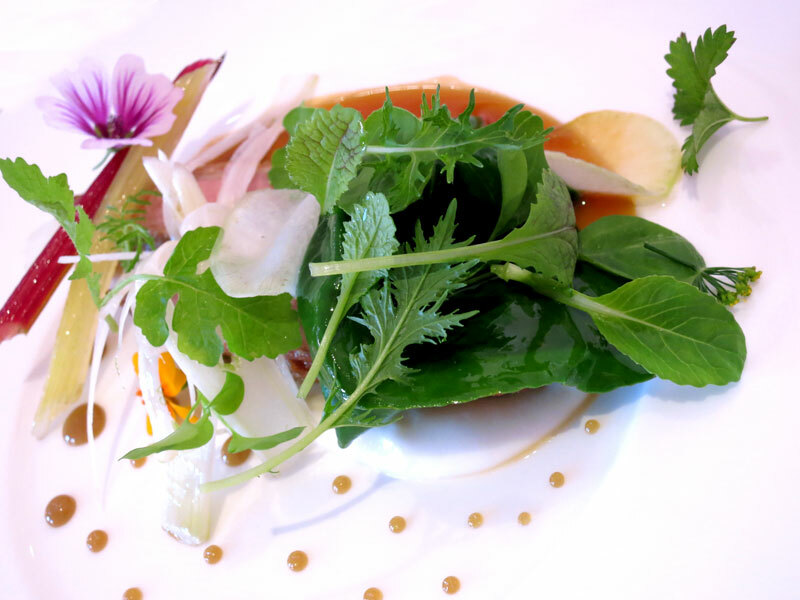 While running a restaurant in Kobe, Japan, he began to develop his own style, which mixes innovation with reinterpretations of traditional Piedmont dishes. Though many people come to Duomo for the truffle menu, we opted for a tasting menu, which is the best way to discover Crippa’s brilliance. An intriguing suite of 10 beautifully presented dishes included shrimp with grape must, scallops with sea urchin and shavings of Pecorino cheese, veal sweetbreads with artichokes, and an improbably delicious dessert of roasted corn, quince and orange. Obliging service and an excellent selection of wines by the glass added to the pleasure of one of the finest meals I’ve ever eaten in Italy. If the dramatic setting and pleasingly furnished rooms partly explain its popularity, the hotel is exceptional mainly for Denise Pardini’s warm and personal hospitality. 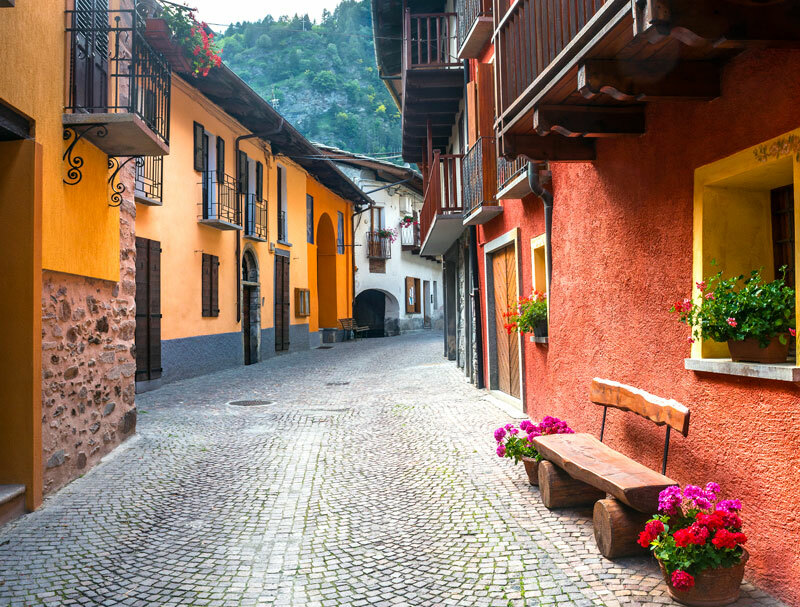 The little village of Sinio is a 30-minute drive from Alba. 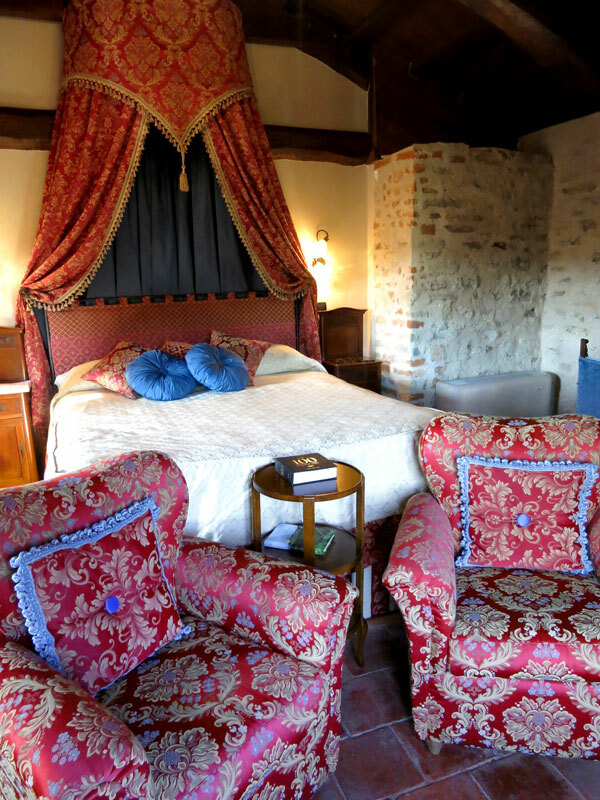 There, the 14th-century Castello di Sinio houses a remarkable 14-room hotel. After ringing a bell at the gate, we drove up a short, winding road to the castle. Having been warmly greeted by two porters, we found ourselves chatting with a woman from San Francisco, who turned out to be one of the friendliest hoteliers I’ve met during all of my years of travel. Denise Pardini trained as a chef, working for a brief stint at Chez Panisse in Berkeley; ran her own restaurant; then had a successful career in high tech before the abrupt end of the first Internet boom. She then decided to spend several months in Italy learning the language. Her original destination of Lucca in Tuscany — where her father’s family had come from — was supplanted by Piedmont, owing to her fascination with its wines. Seeing that the region was becoming increasingly popular with sophisticated travelers, she decided to open a hotel. Scouting for a property to renovate, she came across the ruined castle in 2000. “Just out of curiosity, I drove up the little road to Sinio. My heart started pounding when the man in the local café told me the castle was for sale,” she told us. The five-year renovation that ensued was “the most challenging but also most rewarding thing I’ve ever done in my whole life.” The hotel, with its walled garden, outdoor swimming pool and vine-covered arbor where breakfast is served in good weather, became an immediate success. If the dramatic setting and pleasingly furnished rooms partly explain its popularity, the hotel is exceptional mainly for Pardini’s warm and personal hospitality. At check-in, along with flutes of Prosecco, she presented us with her guide to the area, an invaluable document that lists and describes local restaurants, along with detailed information on their locations and opening times, plus her favorite shops, wine bars, wine producers, places to walk, places to picnic, best views over the country, and other sights. Pardini was always present at breakfast to help guests plan their days, and was on hand again in the evening to make sure they had restaurant reservations or anything else they needed. Not only does Pardini do a fine job of running this intimate property, she is also a superlative cook. 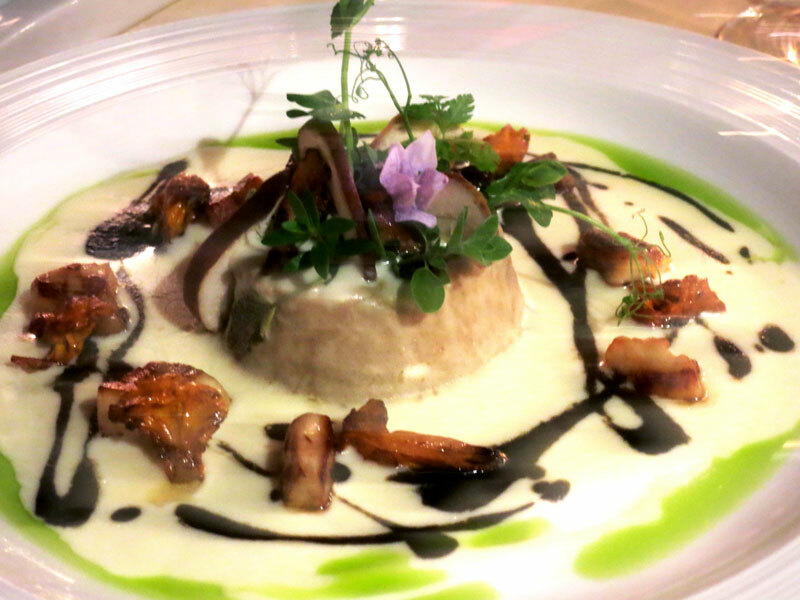 On our first night at dinner, we sampled a rich, earthy mushroom flan, a delicious risotto, and roasted pork garnished with black cherries. The impressive and well-priced wine list is a reflection of her deep knowledge of local wines and friendships with many of the best small producers. Even though our air-conditioned Junior Suite did not come with a completely separate sitting area, we liked its exposed stone walls, terra-cotta tile floors and huge exposed beams. In the late afternoon, the room was flooded with sunlight, and it was a pleasure to relax with a book in one of the two armchairs arranged beside the window to take advantage of views of the campanile across the street and the vineyards rolling over the distant hillsides. A tub would have been welcome in the spacious and well-lit bath — which was provided with Acqua di Parma toiletries and Frette bathrobes — and the stall shower was a bit snug, but we thoroughly enjoyed every minute of our three-night stay. LIKE: The convenient location, comfortable rooms and, most of all, the hospitality and excellent cooking of the delightful owner, Californian Denise Pardini. DISLIKE: The canopy of our bed blocked the bedside light, making it difficult to read; the small shower stall. GOOD TO KNOW: For a night when you want a simple meal, or don’t feel like driving, an excellent pizzeria, Il Commercio, is located an easy walk from the hotel. 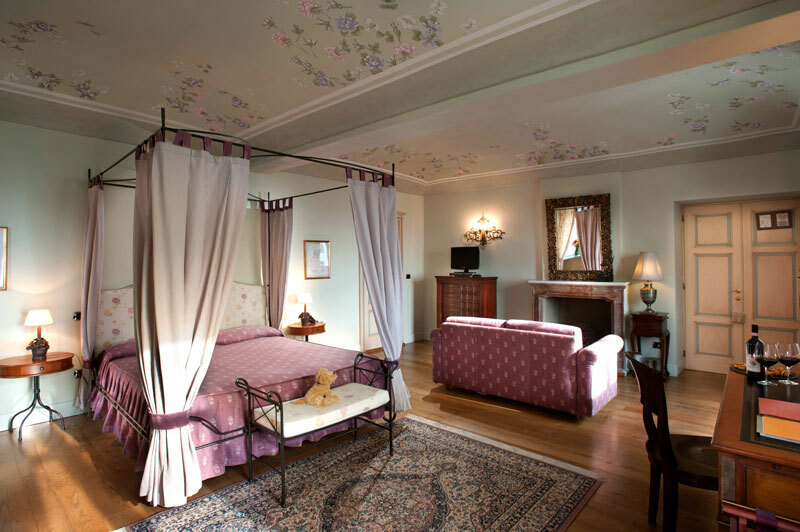 Hotel Castello di Sinio 94 Superior Deluxe Room, from $220; Junior Suite, from $300. Vicolo del Castello 1, Sinio. Tel. (39) 0173-263-889. 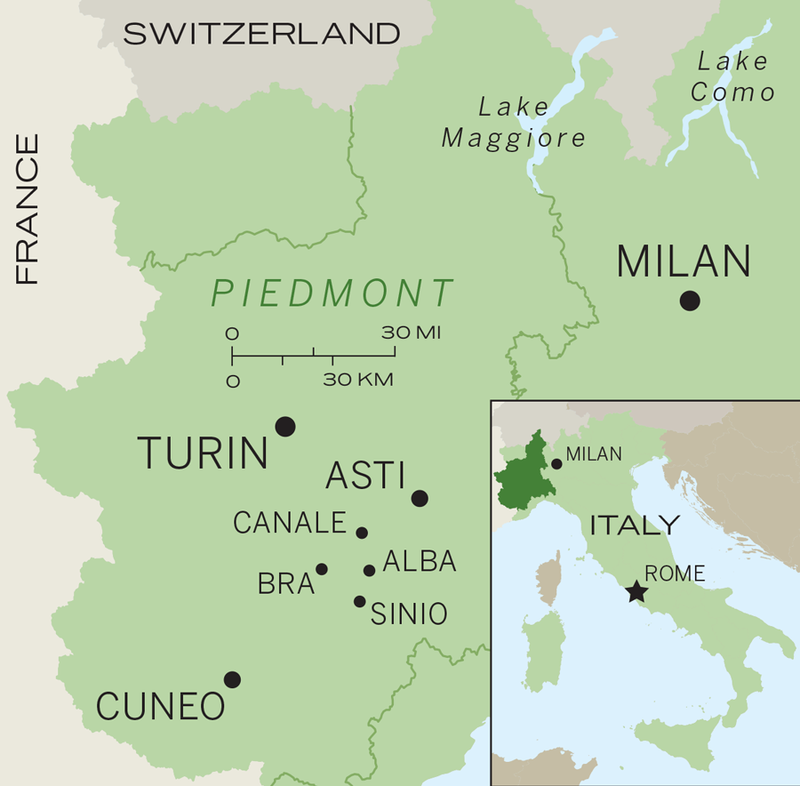 When planning our Piedmont trip, I’d decided to visit each of the principal wine regions. Castello di Sinio is perfectly located for discovering the wines of Barolo. 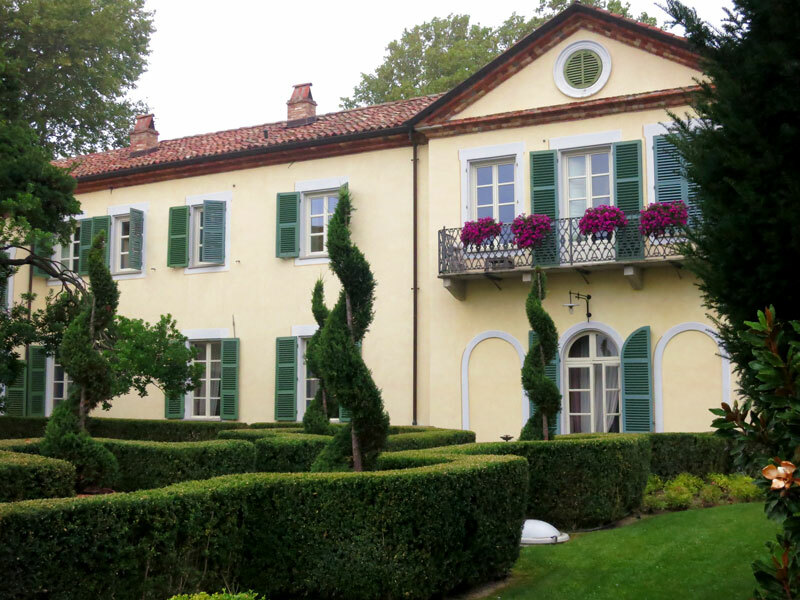 Our next stop, the 30-room Relais San Maurizio, owned by Pier Domenico Gallo, a well-known Piemontese banker, is ideally situated for the Barbaresco and Barbera vineyards, as well as those around the town of Asti that produce excellent and underrated sparkling wines. Perched on a hillside just outside of the town of Santo Stefano Belbo, with spectacular views over steep, vineyard-planted hills, this casually elegant hotel was built in 1619 as a Franciscan monastery. Gallo bought the property in 1997 for his private residence, and later transformed it into a hotel. Surrounded by lovely gardens dotted with ancient cedar trees and modern sculptures, the property consists of two main buildings: the original manor house, where the excellent Guido da Costigliole restaurant occupies a spectacular vaulted cellar, and a recently opened annex. These discreetly luxurious lodgings were extremely well-designed, well-lit and comfortable. 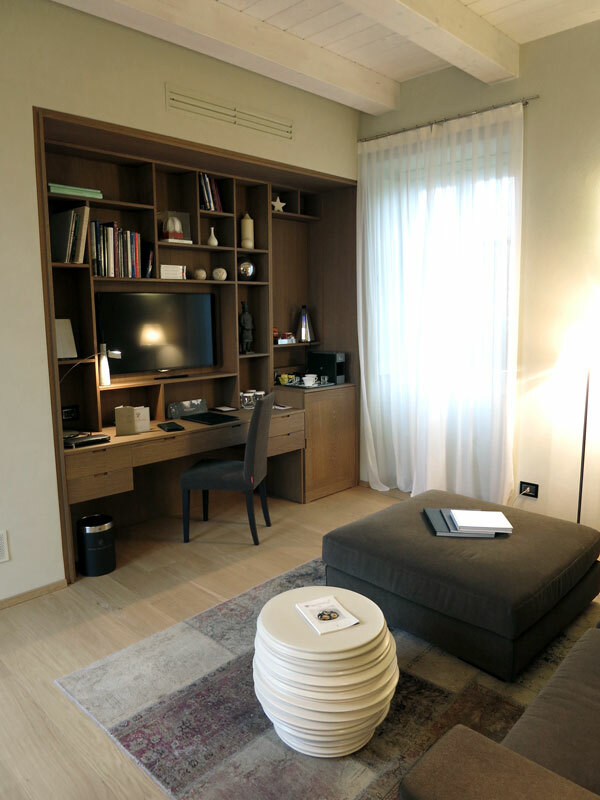 We were initially shown to a Junior Suite in the historic main building that was charming but rather small, so we asked to see the new Suites San Luigi in the handsome two-story brick building nearby. We were immediately seduced by these light, spacious and stylish accommodations. Our suite was attractively furnished with a mix of contemporary Italian furniture and antiques, and was decorated in earth tones. The lounge area provided a built-in desk and a bar with an espresso maker. 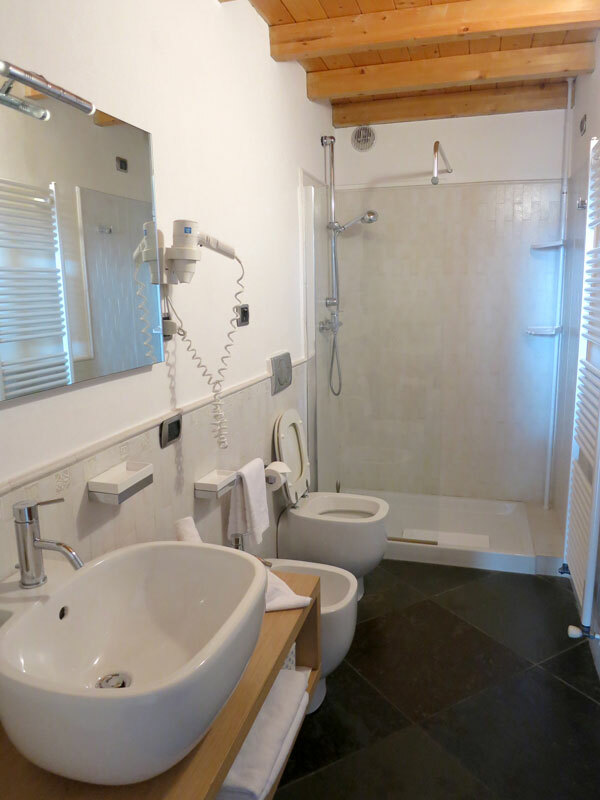 The bedroom contained a Jacuzzi, while the bath itself came with Boffi fixtures, including double vanities, and a large stall shower. As the suite was on the ground floor, we had two private terrace gardens, one in front with a Jacuzzi and lovely views of the countryside, and the other in back. 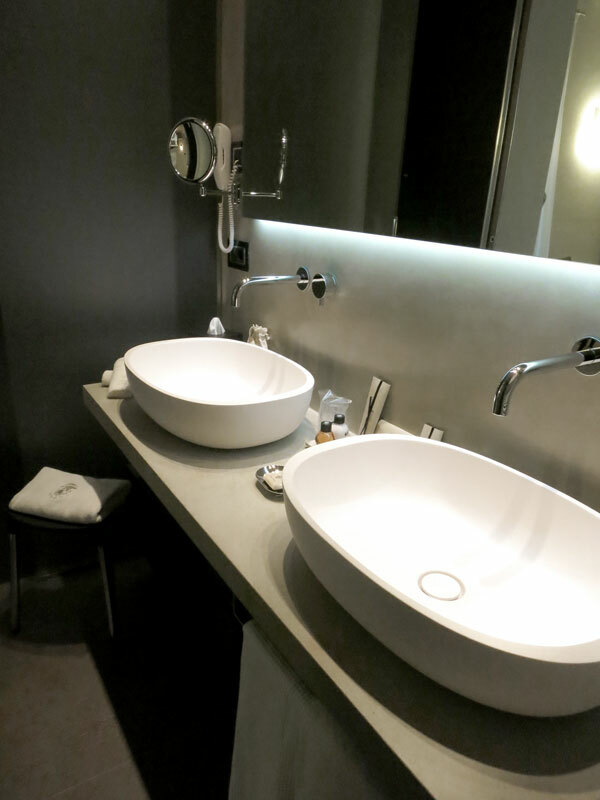 Overall, these discreetly luxurious lodgings were extremely well-designed, well-lit and comfortable. Elsewhere, we discovered a delightful conservatory bar filled with flowering bougainvillea, potted plants and trees. In the excellent restaurant, the dish not to miss proved to be the local Vicciola beef, which is exceptionally flavorful but so lean that it has less cholesterol than sea bass. 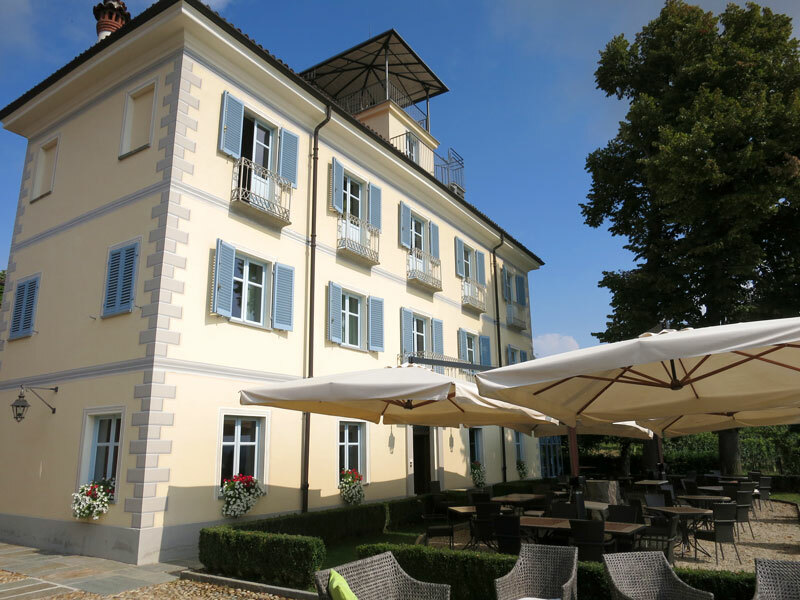 (There are many restaurants nearby, including the outstanding Ristorante del Belbo da Bardon, which has one of the region’s best wine lists and serves delicious Piemontese country dishes such as tagliolini with porcini mushrooms, and roasted veal.) The highlight of our afternoons was visiting the spa, where we took reviving soaks in the brine pool, followed by turns in the salt grotto. Excellent massages and a variety of beauty treatments are also available. The Relais San Maurizio is a sophisticated country house hotel that updates the best of Italian style and hospitality with a confident and witty modernity. After several peaceful days, we left with real regret. 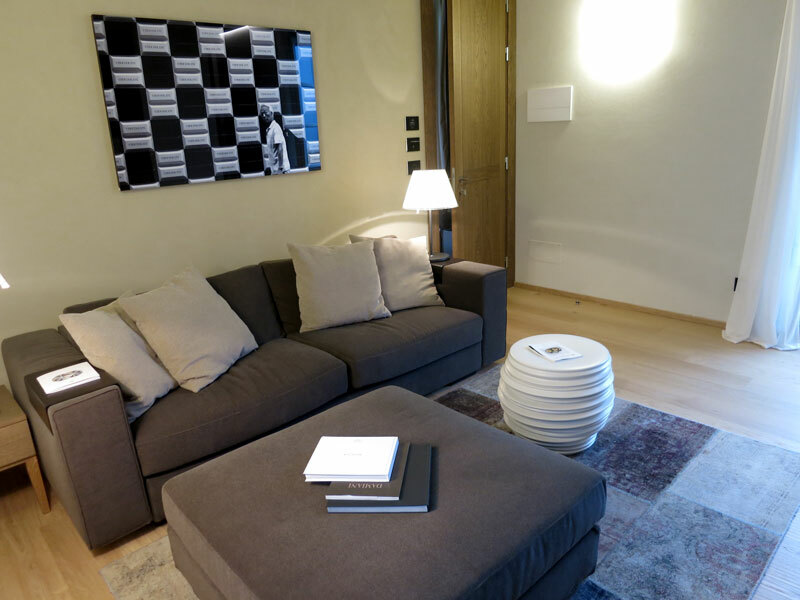 LIKE: The comfort and stylish design of the new Suites San Luigi; the fine restaurant and spa. DISLIKE: The front desk staff could be more attentive and efficient; charging for the capsules for our espresso machine seemed rather miserly. GOOD TO KNOW: Since the spa is very popular, treatments should be booked before you arrive. 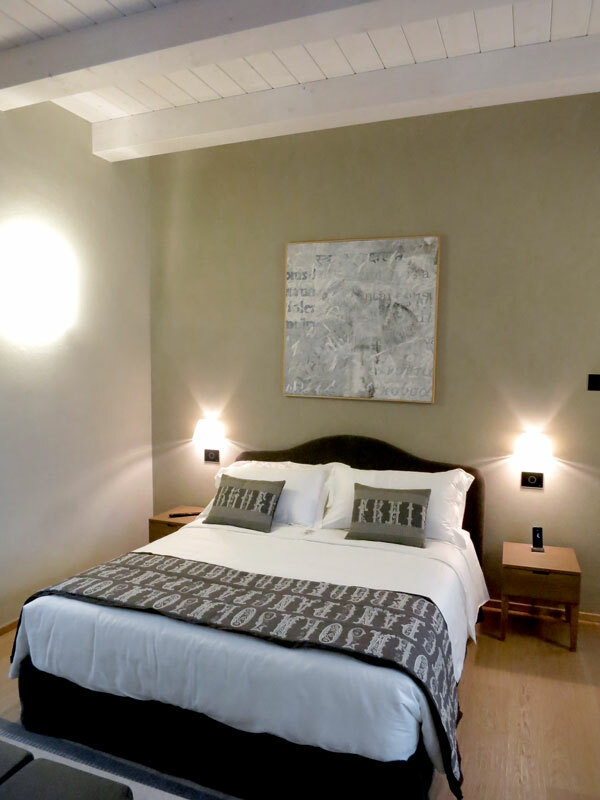 Relais San Maurizio 96 Classic Room, $330; Junior Suite, $550; San Luigi Luxury Suite, $875. Località San Maurizio 39, Santo Stefano Belbo. Tel. (39) 0141-841-900. The inhabitants of Piedmont take their food very seriously. In 1989, Italian food writer Carlo Petrini assembled a group of journalists, restaurateurs and food producers to defend Italy’s rich gastronomic heritage from industrialized food production. The triggering event was the opening of a McDonald’s near the Spanish Steps in Rome. His organization, which has become the international Slow Food movement, is based in the little Piedmont town of Bra, Petrini’s hometown. There, we stopped for lunch at the Osteria del Boccondivino adjacent to Slow Food headquarters, and on a mild Indian summer day, enjoyed an excellent meal of carne cruda (steak tartare), rabbit braised in red wine, and panna cotta in the garden courtyard. Afterward, we dropped in at the Slow Food shop to buy a copy of “Osterie d’Italia,” its celebrated guide to the best osterias in Italy. Our next stop, the 10-room Villa Tiboldi, is set on a hillside overlooking the vast Malvirà wine-producing estate, just outside of the town of Canale. 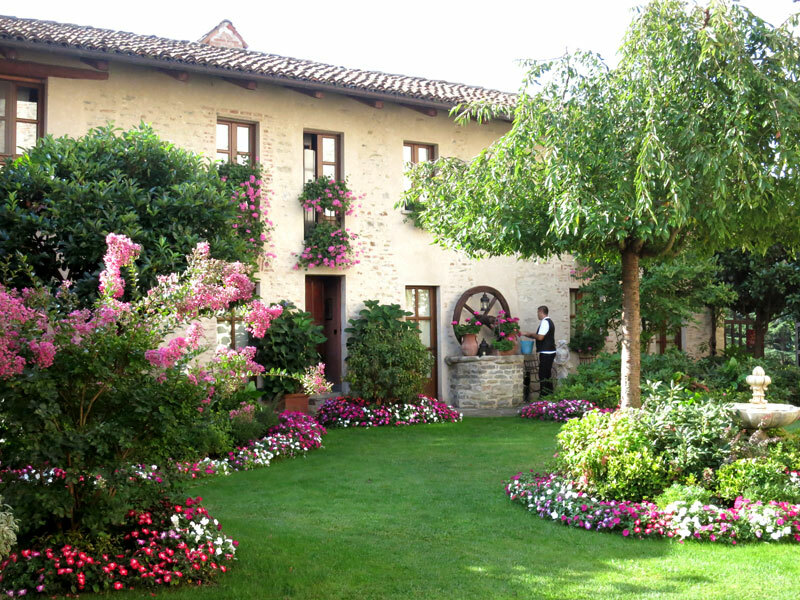 The vineyard is run by Massimo and Roberto Damonte, and their wives oversee the Villa Tiboldi. Arriving at the end of a sunny autumn afternoon, I was immediately taken by the beauty of the scene: an impressive cream-colored villa framed by ancient chestnut trees and surrounded by weathered brick farm buildings, set in an ocean of vineyards. The infinity pool looked inviting, and our expectations were high. So it was a disappointment to find that our Junior Suite was in an outbuilding over the kitchen. Somewhat dark and rustically furnished, it had none of the appeal of the handsome suites in the main villa (which I later learned are often booked months ahead). These are decorated in a so-called “Liberty” style, a reference to the art nouveau fabrics made famous by the London department store, and offer a tasteful mix of antiques and contemporary furniture, canopied beds, attractive baths and memorable views. Currently, Villa Tiboldi is a very good hotel that could be great. There was no porter when we arrived, and the woman at the front desk reacted with exasperation to requests for restaurant reservations, as she was busy with clerical work. 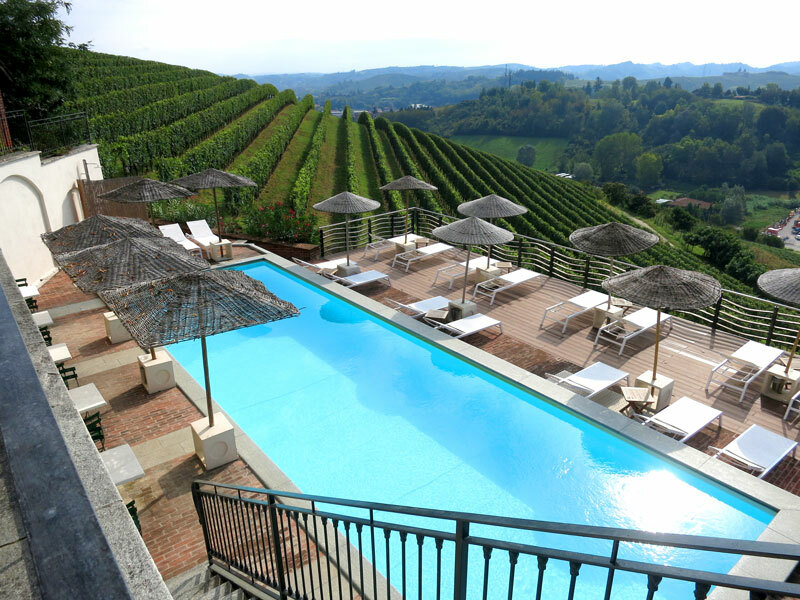 That said, the exquisite location, lovely pool and excellent restaurant make this a good base for exploring the vineyards of the Roero region. And our impressions of the property would have been entirely different had we stayed in the main villa. 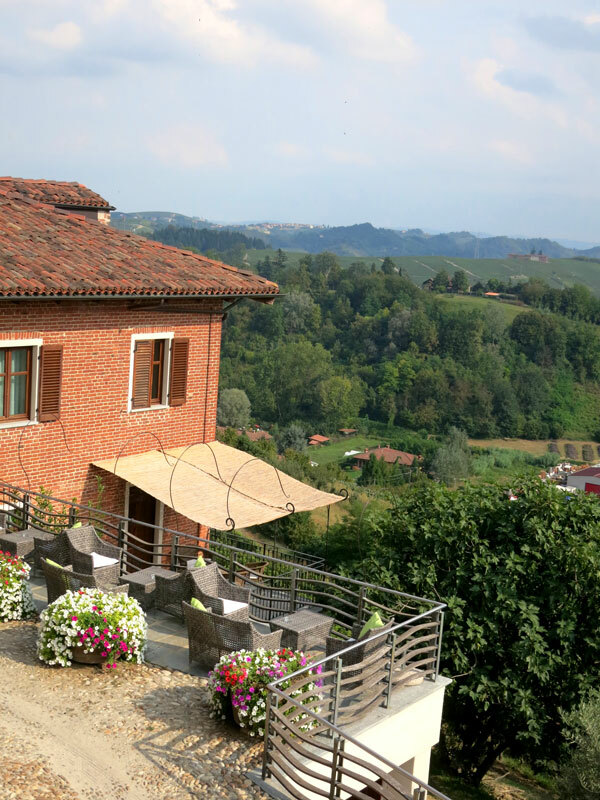 It is perhaps worth emphasizing once again that travel to Piedmont during the fall high season should be booked as far in advance as possible. LIKE: The lovely setting; the notable restaurant with wines from the surrounding estate. DISLIKE: The hotel is understaffed: The front office closes at night, and there is no bar to repair to after dinner. GOOD TO KNOW: To be happy here, you must get a room in the main villa and not in one of the annex buildings. 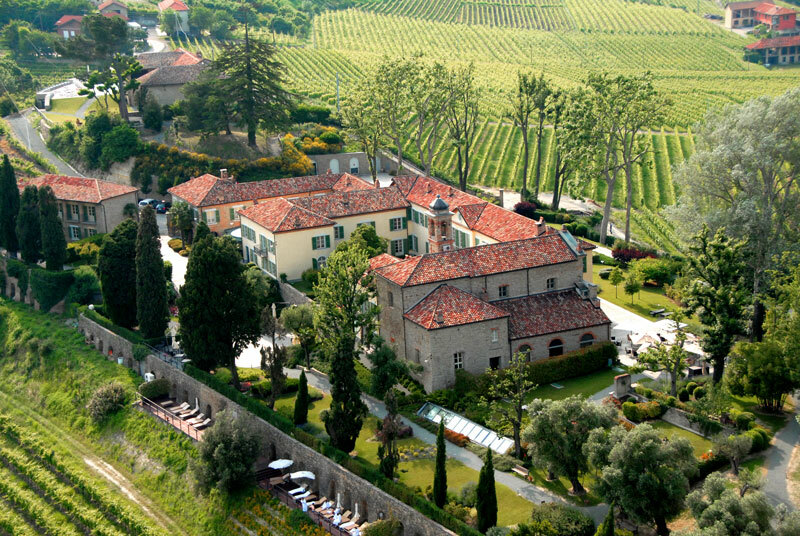 Villa Tiboldi 92 Double Room, from $170; Junior Suite, from $220; Suite, from $305. Case Sparse Tiboldi, 127, Canale. Tel. (39) 0173-970-388. Since I’ve always been a keen student of the Napoleonic Wars, we concluded our tour with a night in Cuneo, an old garrison town that was constantly besieged by invading French armies. Today, it is distinguished by quiet streets lined with long arcades that contain lively cafés and old-fashioned shops. We stayed at the well-run 47-room Palazzo Lovera, a once-grand hotel that has been renovated to suit the needs of business travelers. Nowadays, it is not a luxury property, but our Junior Suite was attractive and comfortable, and the staff couldn’t have been friendlier. That night, we dined at the Osteria Due Grappoli, a four-minute walk away. After dinner, the owner joined us for a final glass of Barbera. 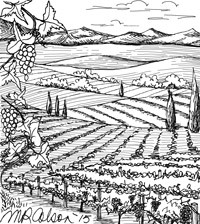 “In Piedmont,” he said, “we work like the Germans, have good taste like the French, and love food like the Italians.” Perhaps it was the wine, but his summary seemed to encapsulate the many charms of this alluring corner of Italy. 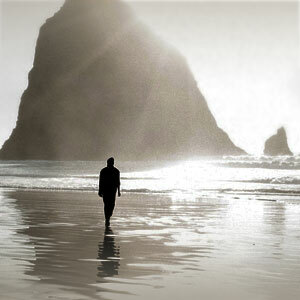 LIKE: The convenient central location; the friendly service. DISLIKE: The steep charge for on-site parking. 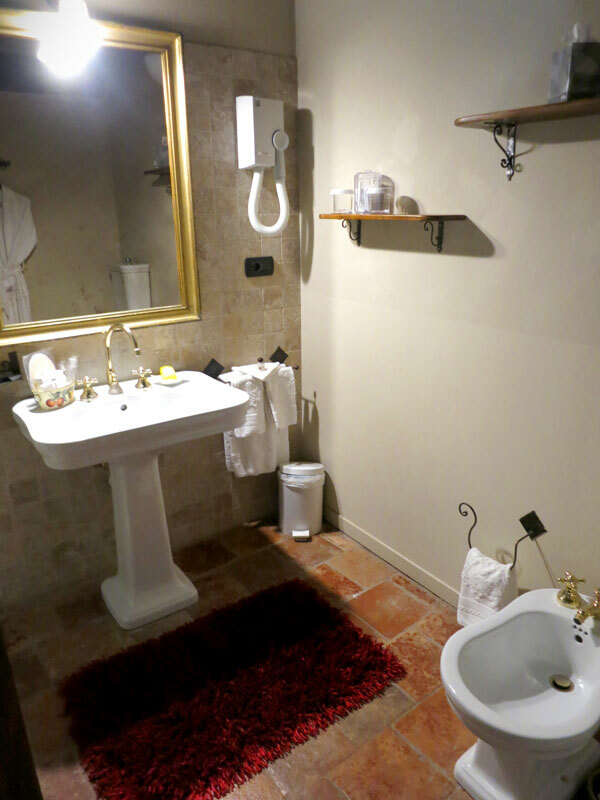 GOOD TO KNOW: This is not a luxury hotel, but rather the best that is available in the historic town of Cuneo. Palazzo Lovera 88 Double Room, from $135; Junior Suite, from $180. Via Roma 37, Cuneo. Tel. (39) 0171-690-420.